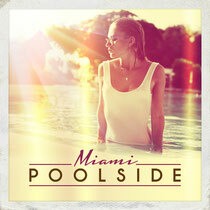 'Poolside Miami' offers a collection of sun drenched beats and blissed out grooves, a great accompaniment to long hot days by the pool. The first destination, ‘Miami’, features 29 full-length tracks from Hackman, Satin Jackets, Zimmer, Crayon, Moullinex, Blamma! Blamma!, Miguel Migs, Crazy P, Hot Toddy, Kolombo, Cyclist & many more alongside a full-length DJ mix covering everything from chill out, nu disco and deep house. With 100% new and exclusive tracks from Karol XVII & MB Valence, Cram & Gone Deville, 'Poolside Miami' offers an alternative soundtrack to the discerning clubber, funk ridden B-lines, sublime melodies and soothing vocals, it takes you on a journey to the chilled side of dance, whilst showcasing some top producers. It’s out 17 March on Toolroom Records, check the video out below.